Poundmaker's Lodge, an Indigenous addiction treatment centre, is asking the government to fund a transitional home for women. 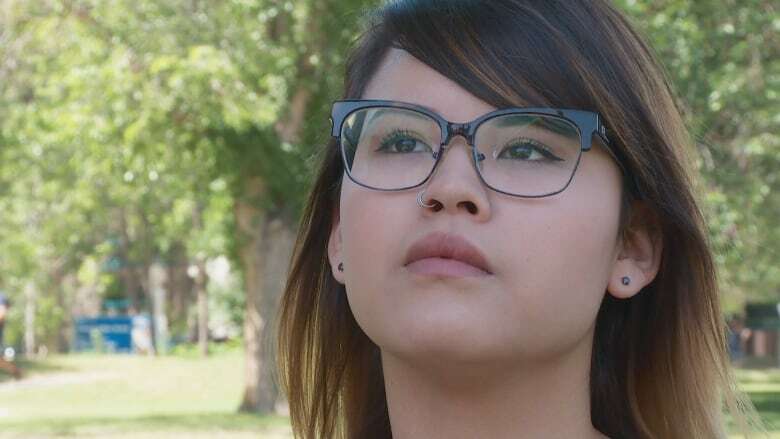 At 19, Courtney Aubichon checked herself into a 90-day addiction program at Poundmaker's Lodge, an Indigenous treatment centre near St. Albert. When she hit three months sober in 2013, Aubichon said she realized she had changed — but the world she escaped had not. As the final day of treatment loomed, she became frantic. "I was really worried because I knew I had no safe place to go," Aubichon said. ​"I changed, but nothing outside the treatment centre changed." Instead of returning to a situation that could trigger a relapse of her drug and alcohol abuse, Aubichon applied to stay at Iskwew Healing Lodge. 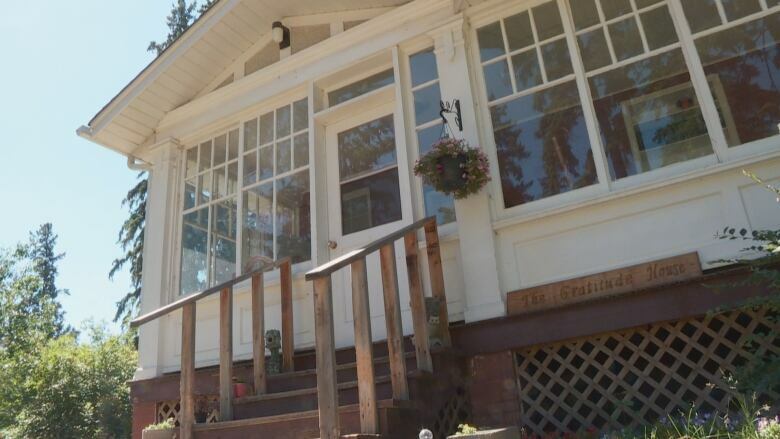 The two-storey home near Poundmaker's Lodge offers a safe place for women to rebuild their lives after completing addiction treatment. 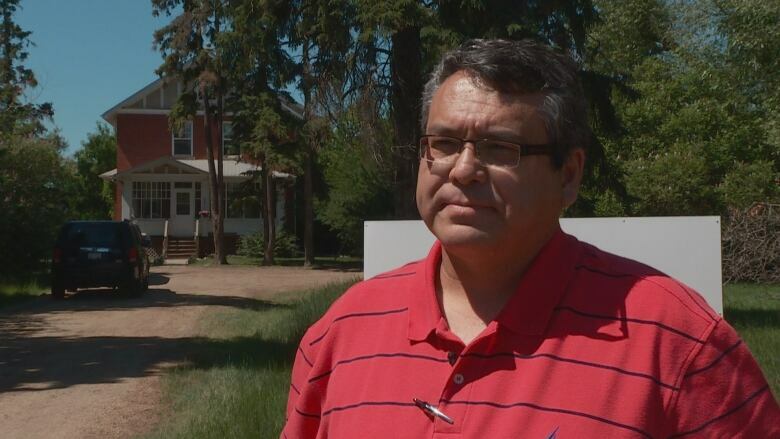 But not every woman has the same opportunity to continue healing at the transitional home, said Brad Cardinal, executive director of Poundmaker's Lodge. Iskwew Healing Lodge needs its own dedicated source of government funding, something that is being discussed at various provincial ministries and departments, Cardinal said. "We know that the service is required and it's a matter to ask the government to step up to the plate, please," he said. "It's time to fund a successful program." Aubichon lived at Iskwew Healing Lodge for nearly a year, using income support, before finding an apartment in Edmonton. 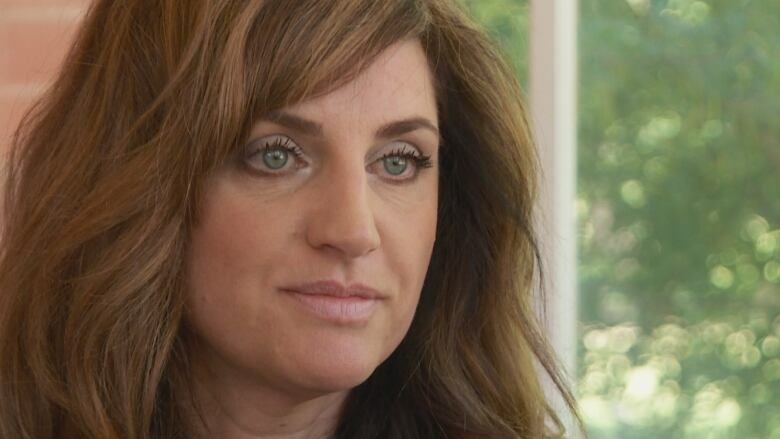 "I lost a lot of who I was through my active addiction," Aubichon said. "How I got into Iskwew, it was kind of like a gift." Now 23, Aubichon has completed high school and college. She plans to start a degree in social work this fall at the University of Calgary and wants to work full-time at Iskwew once she graduates. "Being at Iskwew, it really helped me," she said. "I learned a lot about who I was as a person." Iskwew Healing Lodge charges $40 per day and allows women 18 and older to rent a room for as long as they can afford to. The daily fee covers room, board and staffing costs, as well as resources including a psychologist, elder services, therapy and counselling. Women who stay at the lodge pay out-of-pocket or through external funding. Some who don't qualify for financial support are forced to move back into abusive homes or stay at homeless shelters, Cardinal said. "Many of our ladies initially come to us very broken people, broken spirits, struggling," Cardinal said. "Through this service, we're able to continue to support them in a really important way. The transitional home has capacity for up to seven women at a time. Funding seven beds for a year would cost roughly $715,000. Alberta Health provides $3 million annually to Poundmaker's Lodge, for two specific residential addiction treatment programs. One program runs for 42 days and has 36 beds for adult clients. The other, a youth program, runs 90 days and has 15 beds. Cardinal said he has contacted various provincial ministers and departments, including Alberta Health, to ask for additional money for Iskwew Healing Lodge. Alberta Health spokesperson Laura Ehrkamp said she is aware of talks between Cardinal and her department about the healing lodge, but added there has been no formal application for funding. "Strengthening substance use dependency supports is a priority for our government," Ehrkamp wrote in an email to CBC News. "We are partnering with organizations around the province in delivering these services." More than 300 women have lived at Iskwew Healing Lodge since it opened in 2013. Many others have been turned away, said Libby Szarka, community engagement officer at Poundmaker's Lodge. Szarka said she doesn't know exactly how many women have been unable to stay at the lodge over the past five years, but added more will be shut out for as long as Poundmaker's doesn't have the money to offer a cost-free service. "Everybody needs their basic needs met — without your basic needs you're left to pull at straws," Szarka said. "If they can't have a safe place over their head to get well, or go back to school, or learn to be a member of society and the workforce, then they're left going back to what they know."